Like a shared cultural pastime of complaining about the weather, Bostonites unite under one indisputable fact: the city is great for outdoorsing. True, it isn't situated at the base of a major mountain range, nor is it Surf Town, USA; but few true metropolitan areas can boast the sheer amount of adventure sport opportunities that Boston can. 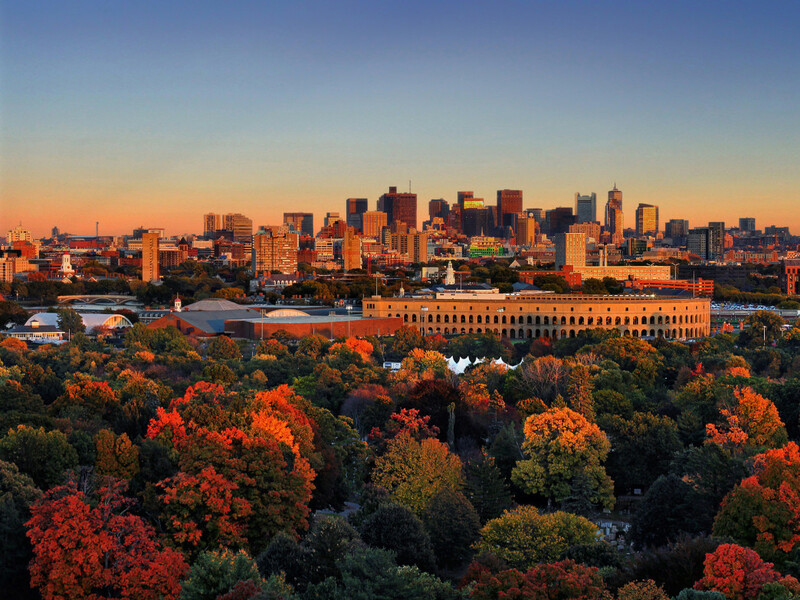 Indeed, Beantown offers the adaptable outdoor enthusiast a little bit of everything. From running and cycling to kayaking and climbing—if you do it, there’s a place in or near Boston where it can be done. 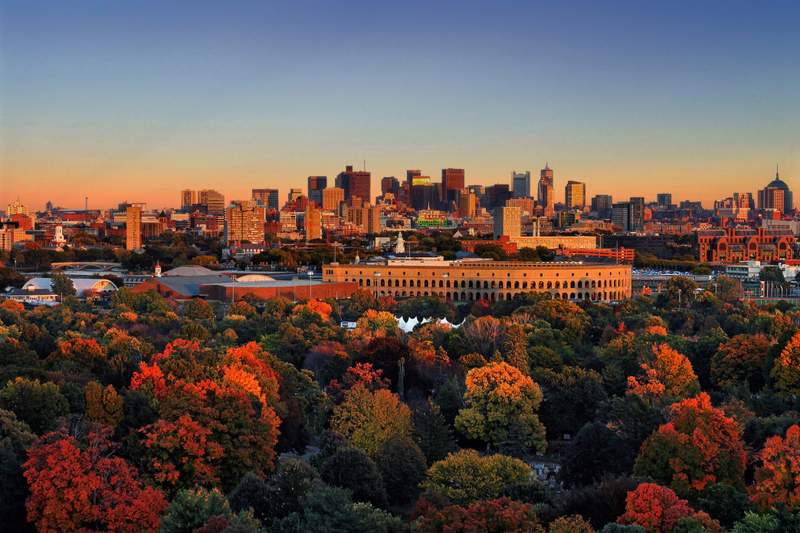 Here are a handful of reasons why Boston is an awesome city for outdoor lovers. 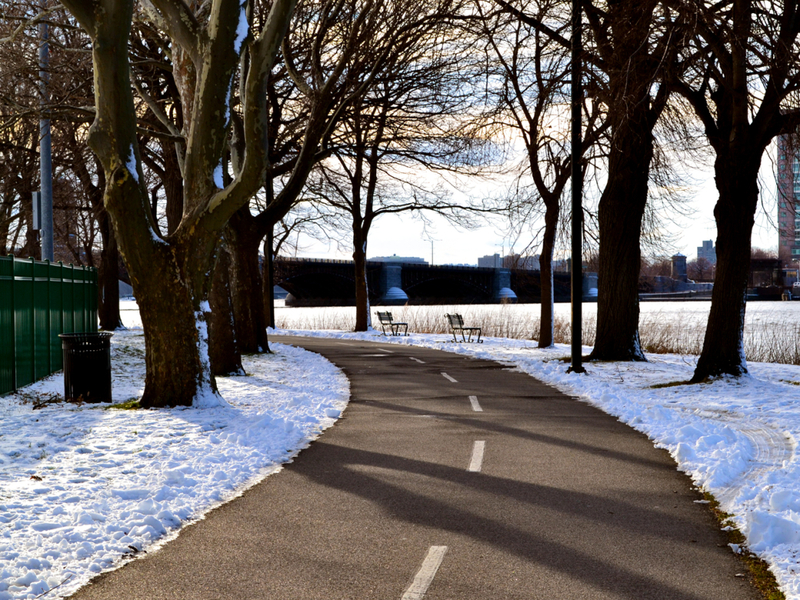 From natural sites like the Esplanade and the HarborWalk, to history tucked inconspicuously around every corner, Boston is best explored by foot. In fact, one of the city's nicknames is "America's Walking City." It may not be the catchiest moniker, but it's true! Once you’ve walked the city, you’ll love biking through it. In fact, with rush hour traffic on the roads and on the tracks, biking is not only the fastest way to get around town, but also the best way to get to know your neighborhood. With increasing amounts of bike paths, paved lanes, and affordable bike share programs throughout the city, there's never been a better time to explore by bike. After all, you'll miss out on so much of what Boston has to offer by just sticking to the T stops. For adventurers willing and able to hit the road, a quick half-hour drive from downtown will get you to enjoyable hiking destinations, like Blue Hills Reservation, Middlesex Fells Reservation, Noanet Woodlands, and Hale Reservation. Dual hiking and skiing destinations Mt. Wachusett and Mt. Watatic, popular among hikers, trail runners, and snowshoers alike, are about an hour from downtown. Slightly less than two hours from the city is Mt. Monadnock, located just past the New Hampshire border in Jaffrey, one of the most-climbed peaks in the world. 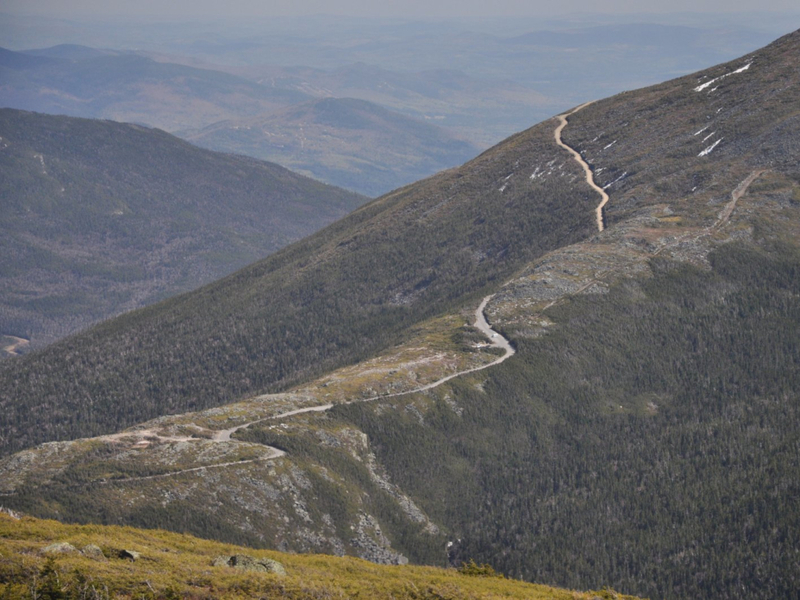 If you're after a weekend road trip, head further north to the White Mountains, for rigorous hiking and rewarding camping, or travel west to the Berkshires, and Massachusetts’ highest peak, Mt. Greylock. Boston is surrounded by water—this is The Bay State, after all. For rowers and kayakers, the Charles River is your playground. 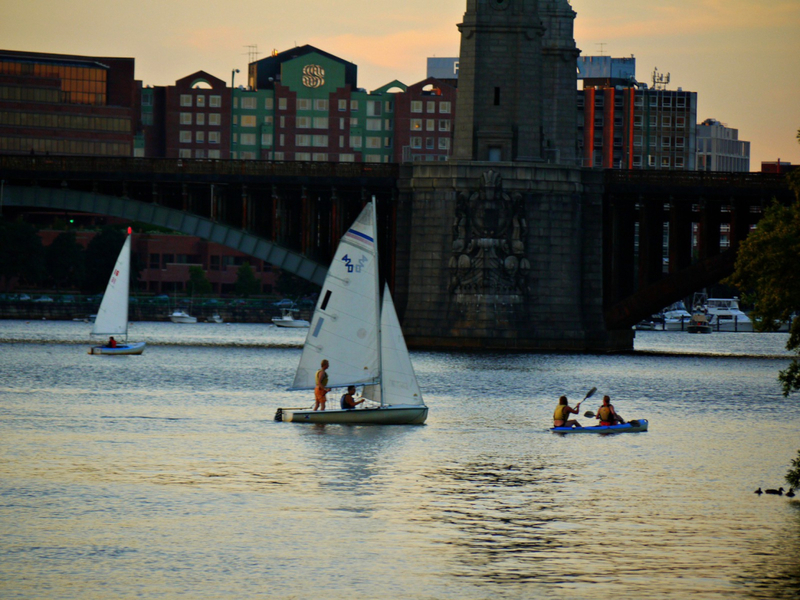 Prime sailing starts out of Rowes Wharf and the Boston Harbor. And sea kayakers will enjoy the choppy water around Boston’s Harbor Islands . A ferry ride away, the beachcombers can explore Cape Cod, Nantucket, or one of the many Harbor Islands. Outside the city, but accessible by train, are the picturesque beaches of Ipswich and Rockport along the North Shore, and Scusset and Sandy Neck beaches along the South Shore. The largest by far, with 40,000 square feet of rock walls, bouldering, fitness equipment, and class space, is the crunchy-hipster mecca of Brooklyn Boulders in Somerville. If you want to forego BKB's premium membership in favor of a more reasonable fee, climbers head to Central Rock Gym in Cambridge, MetroRock Climbing in Everett, Rock Spot Climbing in South Boston, and Boston Rock Gym in Woburn. For students and families that want to try out rock climbing or enjoy a day on the boulders without commitment, look to MIT's open use climbing wall, and the North Suburban YMCA location, which serves the Woburn, Burlington, Winchester, Lexington and Arlington communities. Yes, Boston is home to Dunkin' Donuts, but the food scene has expanded well beyond those doughy rings of goodness. 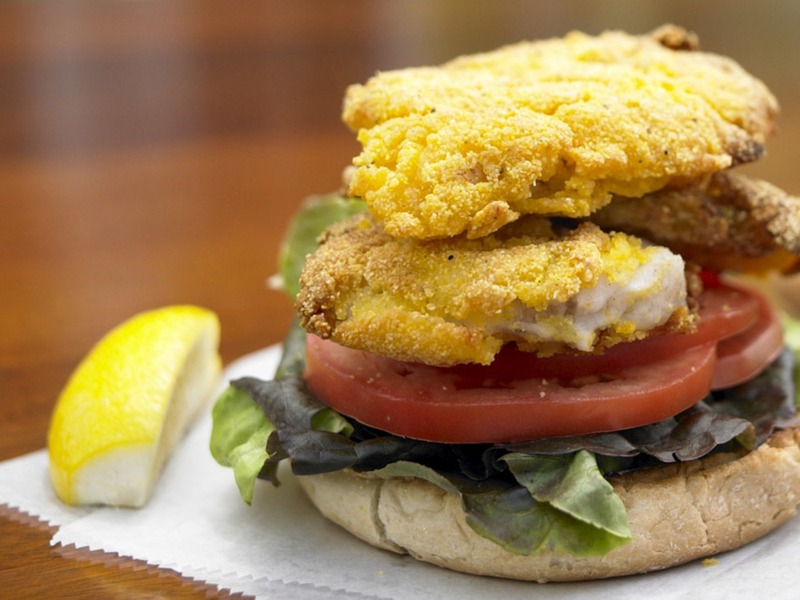 In each corner of the city and its surrounding neighborhoods, you'll find an unassuming eatery incorporating unique, local ingredients on its menu. From wild hen of the woods mushrooms and clothbound cheeses to fresh greens and seafood straight from the Atlantic, Boston's farm-to-table restaurants have the food that hungry athletes and urbanites need to refuel. This is by no means a comprehensive list, but some of the best include: Back Bay's L'Espalier, Kendall Square's EVOO, Jamaica Plains' Ten Tables, Brookline's Lineage, Henrietta's Table, and Harvest in Harvard Square. Many Bostonites are active in one sort of outdoors group or another. In fact, around here it’s a primary form of socialization among most young adults. 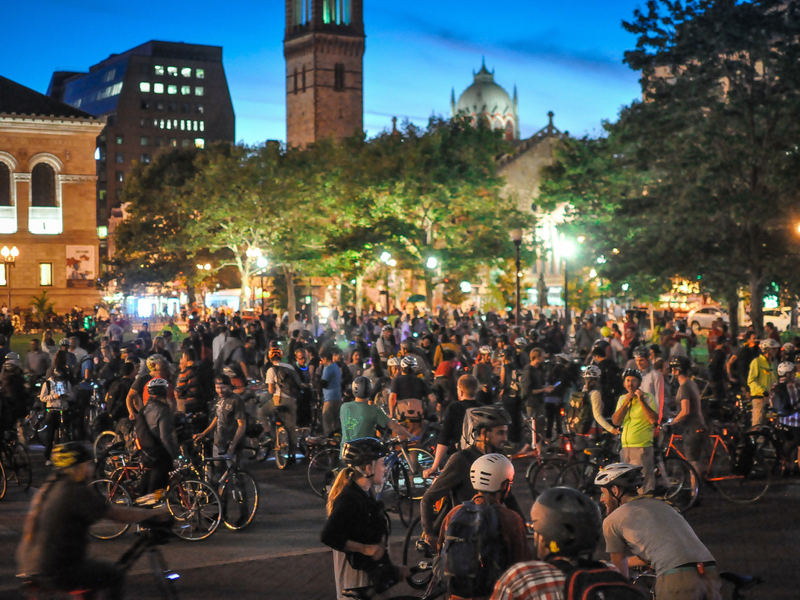 With programs like Social Boston Sports and Boston Bike Party, to neighborhood-specific running and climbing clubs, you’re likely to find a group adventuring just the way you do. Gaelic football, anyone? The Boston chapter of the Appalachian Mountain Club hosts outings and volunteering opportunities to benefit the community, while advocacy groups like Friends of the Blue Hills and Charles River Conservancy work to protect the health and beauty of the local environment. And all have numerous ways to get involved.